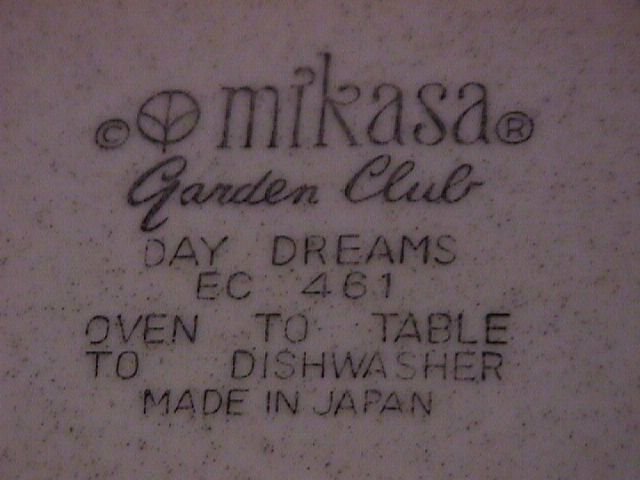 Mikasa Garden Club "Day Dreams" #EC 461 Covered Oval Toureen. 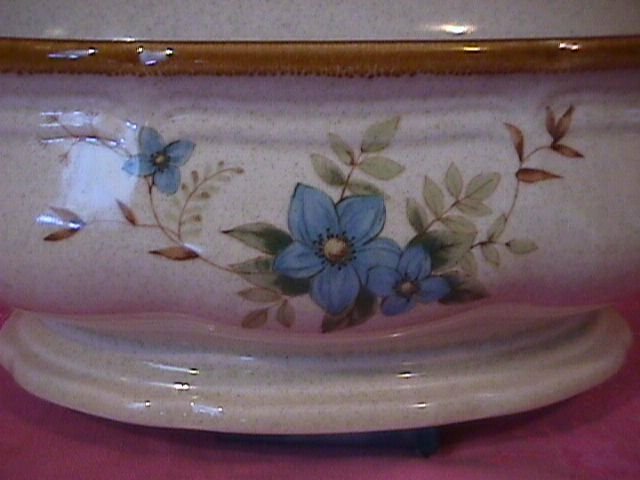 This Beautiful Toureen is 12 1/2" Long by 6 3/4" Wide with a Notched Lid. You also will receive a Free Ladle. It is Oven and Dishwasher Safe. This Toureen is a Hard-Piece-To-Find. 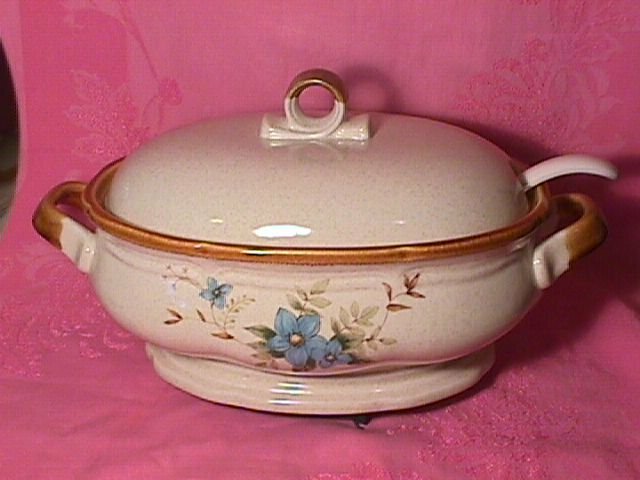 The Replacement value of this Covered Oval Toureen is $125.00. Items Similar To "Mikasa Garden Club "Day Dreams" Covered Oval Toureen"